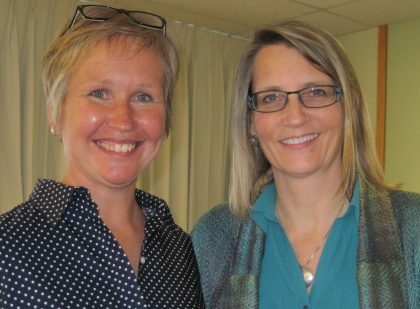 Laurie Meijer Drees & Sonya GrypmaThe first Consortium for Historical Inquiry in Nursing and Health Care, organized by Dr.Geertje Boschma, with generous support from patron & Associate Professor Emerita Helen Shore, proved a very successful event Thurs. Nov 21,2013. 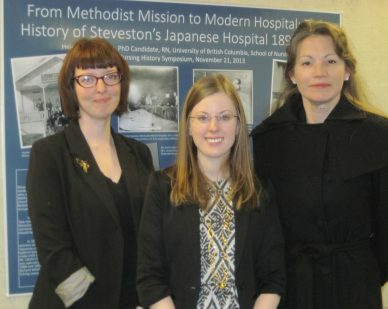 Dr.Sonya Grypma presented on her new book “China Interrupted – Japanese internment and the reshaping of a Canadian missionary community”, and Laurie Meijer Drees presented on her new book “Healing histories: Stories from Canada’s Indian hospitals” Geertje opened the event with “Historical nursing knowledge: why we need it”.